At Sport + Spirit Wellness Retreat, our 3-hour Vision Board Workshop will help you live into your greatest potential and create the life you want now! NOTE: This is a 3-hour workshop and will only be offered on Sunday, September 15, 9am - 12noon (Session 4 & 5 - Breakout Activities - see Wellness Retreat Schedule). The number one reason women don’t manifest what they want in this life is because they don’t take the time to align with a clear vision. 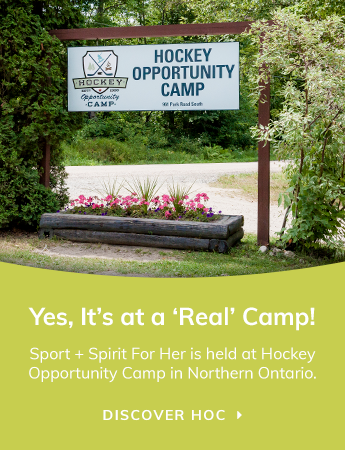 A professional facilitator supports the transition back to everyday life with a take away that visually represents key learnings from your personal experience at camp, something that will remind you of the woman you want to be, and how to keep moving forward – It’s called a Vision Board or Intention Board! Christy Deere guides you on a journey toward a deeper understanding of your personal vision, exploring together: the key areas of life (family, friends, romance, career, health, wealth); the power of a positive mindset; clarity and alignment with what the heart truly desires; and creating a focus that will inspire change. During this fun and interactive 3-hour workshop you will create a personalized poster board that will become a visual guide of our thoughts, feelings and beliefs. Take time to focus your Attention on Your Intention! Through short guided reflections, small group conversations, group coaching, play and creativity, you will walk away with a collage of images that inspire your future. This is your opportunity to stay connected with what matters most when you return home from the retreat. See first hand how the Law of Attraction unfolds in your life – What you believe you receive! Your current thoughts are creating your future life. Take the time to get clear. Christy Deere has a passion for helping individuals realize their full potential, and develop the skills that make them more effective in their professional and personal lives. Inspired by human behaviour and interpersonal dynamics, she is committed to helping people develop more effective relationships, be more productive members of their team or community, and build the soft skills that will make them great leaders. Christy started Leap 2 Learn in 2001 when she saw an opportunity to support leadership teams with custom designed learning and development programs. Her programs invite people to get up out of their chairs, engage with each other in a unique and meaningful way, and ultimately 'learn by doing'. Her style of facilitation utilizes several unique methodologies to negotiate complex group dynamics resulting in more productive and meaningful conversations; skillful navigation of conflict; greater cohesion and alignment; stronger relationships with self and others; and improved performance. Christy is a certified Integral Facilitator®, a certified Lego® Serious Play® Facilitator and utilizes The Art of Hosting approach, to address the issues that matter most. Although working with organizations is her primary work, Christy lends her dynamic skills to her community in South Georgian Bay. Creating programs that support women who have survived abuse, teaching a variety of workshops that inspire personal growth, and to remain active in the outdoor adventure world where she first got her start, she spends her springs training staff at camps and resorts across Canada, in risk management and safe operating techniques of high ropes courses and ziplines. Leap and the path will appear!